Thank you for visit the Eagle Bay District page, located in Erie Shores Council. Eagle Bay District is comprised of Ottawa County and Sandusky County. Eagle Bay District is made up of many great scout units. 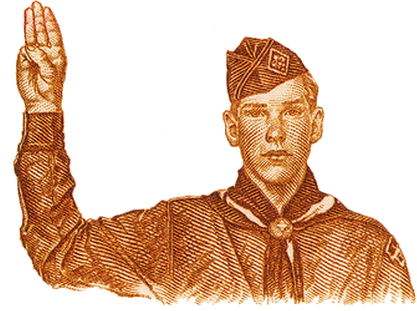 These units include cub scout packs (grades 1-4 and the fall of 5th grade), boy scout troops (spring of 5th grade up to the age of 18), venturing crews (for young men and women age 13 and above who want more adventure and activity), and exploring posts (with a focus on career preparation in different fields). Every month, a group of dedicated volunteers donate time and resources to improve the Scouting program in Eagle Bay District. The District Committee meeting occurs every 1st Tuesday, from 7pm-8pm. The District Roundtable meeting occurs every 2nd Tuesday, from 7pm-8:30pm.